A Charlotte-Mecklenburg police officer was arrested early Friday morning for communicating a threat toward other officers while acting drunk and disorderly. CMPD says its officers were called to the transit center on Trade Street at 1:16 a.m. Friday in reference to a belligerent person. Upon arriving, they found Byron Blair, 25, who is an officer with the department, intoxicated. He was arrested at 1:47 a.m. after communicating a threat to harm responding officers, CMPD says. Police say he was not on duty at the time. Blair has been placed on administrative leave as the department conducts an internal, as well as criminal, investigation. He has been with the department for one year and six months. South Carolina lawmakers have tentatively agreed to increase the state's gas tax by 12 cents over six years to help fund road construction. It's the first major decision by a committee trying to craft a compromise between the House and Senate's road-funding plans. The panel is trying to come up with a plan that can receive a supermajority vote in both chambers to override Governor Henry McMaster, who's promised to veto any plan that raises the gas tax. North Carolina Gov. Roy Cooper vetoed a bill that limits the amount of damages neighbors of hog and poultry farms can collect if a court finds the smell of animal waste is a nuisance. Cooper says the bill gives special protection to one industry. He also says it could weaken protections for homeowners, the environment, and other areas. The bill now returns to lawmakers for a possible override. The House and Senate approved the measure last week by veto-proof margins. The bill was prompted by pending federal lawsuits against a large North Carolina hog producer, but these limits would not apple to those cases. A Charlotte-area high school student who was charged with embezzling thousands of dollars from a local grocery store is back in his native Mexico. Gus Zamudio, 18, landed in Mexico City late Thursday night where he was met at the airport by his extended family. His departure comes roughly a month before he would have graduated from Northwest School of the Arts. He was living in the U.S. under a federal program that gives protected status to undocumented immigrants who came to the country as children. He lost DACA status after his arrest. Carolina Panthers player Michael Oher is under fire on accusations that he assaulted an Uber driver in Nashville last April. Media outlets report the offensive tackle got in an argument with the driver while riding into the city's downtown. According to an incident report, the driver put his hand toward Oher's face, and Oher knocked him to ground and kicked him. Oher is a high profile player who's life was the subject of the 2009 movie "The Blind Side." He's been charged with misdeamor assault. 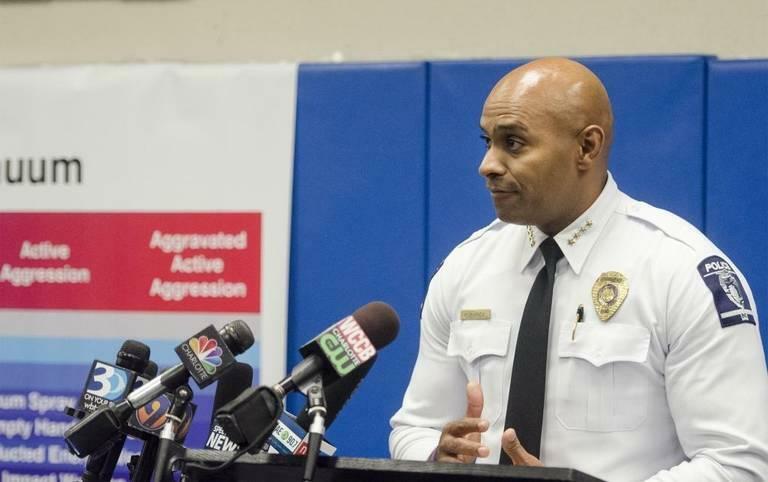 CMPD Police Chief Kerr Putney says he will not defend the actions of a police officer who tackled a suspect, pressed a gun to his head, and said "I will kill you," while making an arrest last year. Still, Putney says the officer's actions were legal. 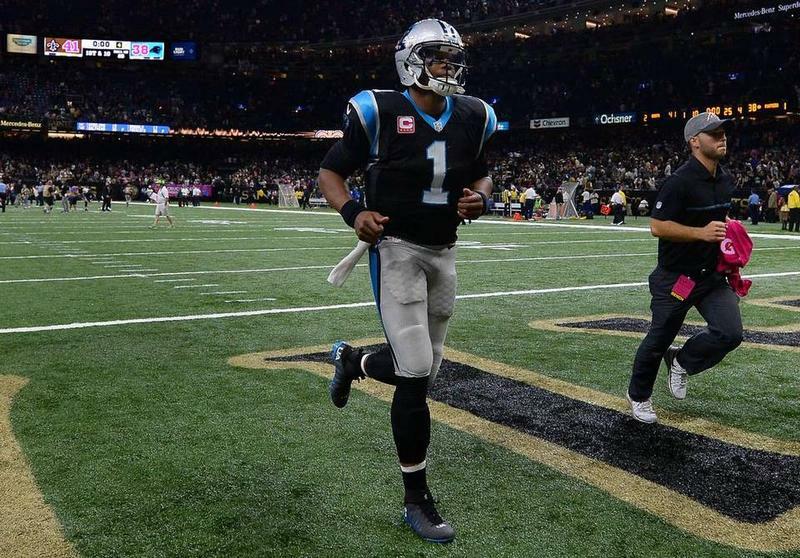 The Carolina Panthers’ nightmarish downfall continued Sunday in a 41-38 loss to New Orleans. Carolina lost its fourth straight game – and its second in the past six days on a last-second field goal. Gov. Roy Cooper has vetoed a bill that would limit the amount of damages nearby property owners can collect if a court rules that smells from hog and poultry farms are a nuisance The governor also has signed a Republican-backed bill that rolls back some state regulations on the environment, business and government agencies. A Charlotte high school student charged with embezzling money from a Harris Teeter won’t be deported. But he’ll still be returning to his native country, Mexico. Gus Zamudio had his final immigration hearing Tuesday.